The Science Museum Group and the National Railway Museum have released their Operational Rail Strategy 2019 to 2033. This Strategy has includes LNER Green Arrow, Oliver Cromwell, the Replica Rocket and even a Pacer. Starting with the Steam Locomotives that the NRM plan to use or rides at their two locations, York and Locomotion. The first three locomotives listed are three replicas of famous locomotives. The first one Locomotion No.1, then the Rocket and the third replica Planet. Locomotion No.1 is currently static. The Rocket is under overhaul and Planet is having repairs done to it. Agecroft is the fourth locomotive that will do the rides at the two locations. Agecroft is currently operational until 2020. The final locomotive listed is the LSWR Beattie Well Tank that is under minor repair and in service until 2023. The NRM also have plans for some diesel locomotives. The class 02 will be the only locomotive on site at York at South Yard which will include the Learning Space. The other diesel locomotives in the collection which include the Class 20, Class 40, Class 52 (Western), Class 55 (Deltic) are not going to operate. The NRM plan to make them fit & safe to be moved. The locomotives listed are the Class 02 which will be based at York, the Class 03 which will be based at Locomotion, the Class 37 and Class 108 which both will be based at the York. The final two locomotives are both away from the NRM's care, the first one LEV1 Railcar currently at the Wensleydale Railway which will be based at Locomotion. The final diesel locomotive will go down well or badly with enthusiasts, but at least one should be preserved. Class 142 Pacer which will be based at both locations. The NRM have two electric locomotives in eye to operate, the first one is BR Class 313 201 in BR Blue repainted for her 40th Anniversary. The second one is class 306 EMU which they aspire to operate. The NRM’s mainline operation is included in this strategy. Until 2023 the LNER Flying Scotsman will be the only Steam Locomotive operated by the NRM. 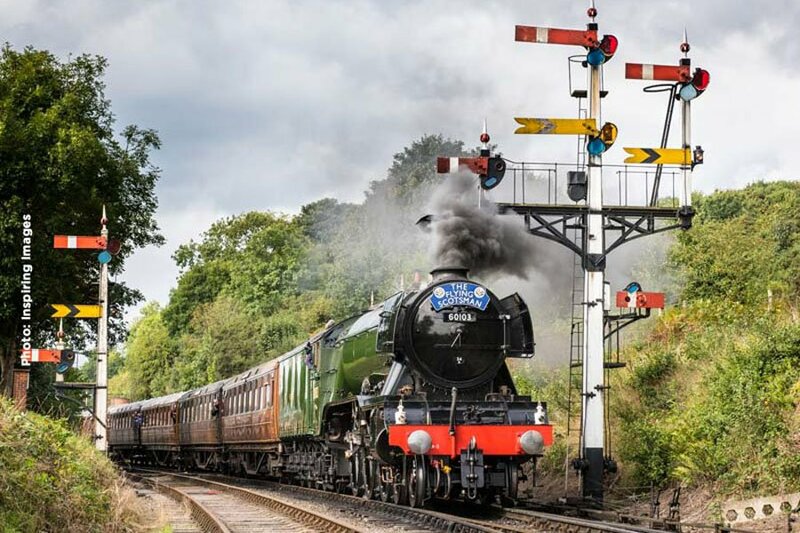 Beyond 2023 the NRM will consider two other locomotives for overhaul and mainline operation, BR Britannia ‘Oliver Cromwell’ and LNER ‘Green Arrow’.